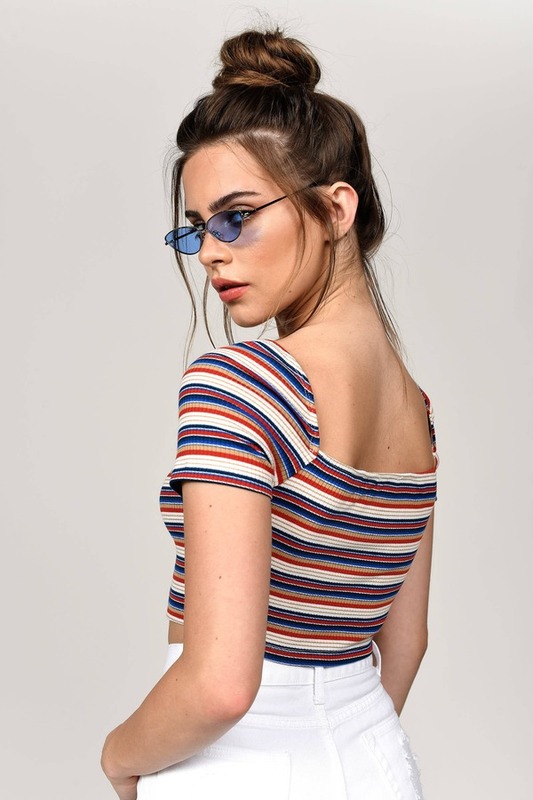 Check out Tobi's Pretty Illusion Stripe Crop Top Retro vibes all the time in the Pretty Illusion Multi Stripe Crop Top. This tight crop top features a square neckline, short cap sleeves, and colorful stripe print. This ribbed shirt will look killer with mom jeans and a scrunchie. Retro vibes all the time in the Pretty Illusion Multi Stripe Crop Top. This tight crop top features a square neckline, short cap sleeves, and colorful stripe print. This ribbed shirt will look killer with mom jeans and a scrunchie.